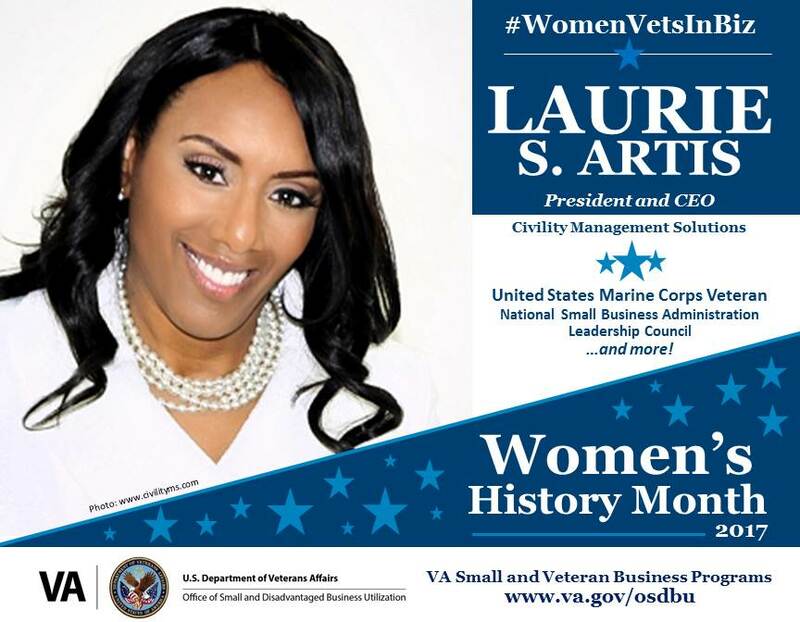 President and CEO of Civility Management Solutions is pleased to be acknowledged during the 2017 Women’s History Month along with her peers – other Military Women Veterans! As a VA verified Service Disabled (Woman) Veteran Owned Small Business it is honorable to receive acknowledgement from the Department of Veteran Affairs (VA), Office of Small Business Development Utilization (OSBDU). The OSBDU office of the VA strives to promote Veteran Entrepreneurs, and that includes the women that once wore their uniforms proudly!